I have been so thrilled and eager to sit down to write this blog post. The joy and the excitement has been jumping around in my heart like a million Mexican Jumping Beans! Here recently I keep getting this magnificiant push, this hard drive to write about how SPECIAL YOU ARE! I love to work out, I love to encourage other women on their weight loss journeys, however I don’t frown upon those who are just not interested in the same things I enjoy. Maybe you love the fashion world, you eat, breath, and sleep the latest fashions. Maybe you are into Make up and Hair, body building, dancing, cycling, swimming, reading, writing, hiking, sewing, crafting, budget shopping? The list goes on as to what really captivates us! Maybe you truly are happy with who you are inside and out, or maybe you are in a season of your life where you are struggling to find out who you are. You question things, you question your own heart, motives, drives, etc.. I know I went through a season in my early 20s after I had my two children. I had completely lost my identity some where in between all the mom titles I was carrying. I lost my confidence in who I was and I was just clueless on who God had called me to be. That place is a dark and scary place to be. If you my friend are in this season I want you to know that there is a brilliant bright light at the end of the tunnel for you! Embrace the unknown to educate yourself on who God has called you to be and then dig down deep inside to rediscover who you are, who you want to be, and then my friend grow your faith and let yourself be you! It is so easy these days with all the Woman/Mom/Wife comparisons in the World. We are judged from our choice of clothes to the brand of water we choose to drink. It’s absolutely ridicules and actually brilliantly calculated by the Devil to cause divisions amongst us women to separate us from each other on stupid things that are not eternal or relevant to who we are on the inside. I am pretty sure God doesn’t care if you want to use a cloth diaper on your baby or a disposable one. However, I know he cares about your heart and your intentions. If this choice brings God glory by recycling and keeping the earth clean, and this is why you chose to do it because in your heart you are convicted too and not because you don’t want others to judge you, or your afraid of their opinions, their acceptance to fit into their particular group, I say cloth on my dear! Confession alert!! I will just tattle on myself now so you know I am not pointing fingers or picking on cloth diaper moms! The cloth diaper is just an easy example that popped into my mind first. I used to be a preschool teacher and I would look and check out what type of lunches other moms were packing for their child. I had come to the conclusion that I didn’t measure up to other moms because my child’s lunch didn’t look like their child’s. I would go out of my way to make sure that my kids lunch reflected their child’s lunch. Was it because I wanted my child to be “super healthy” like theirs? No, it was because somewhere deep inside I had a mom insecurity and I had made other moms my standard to compare myself to be like. 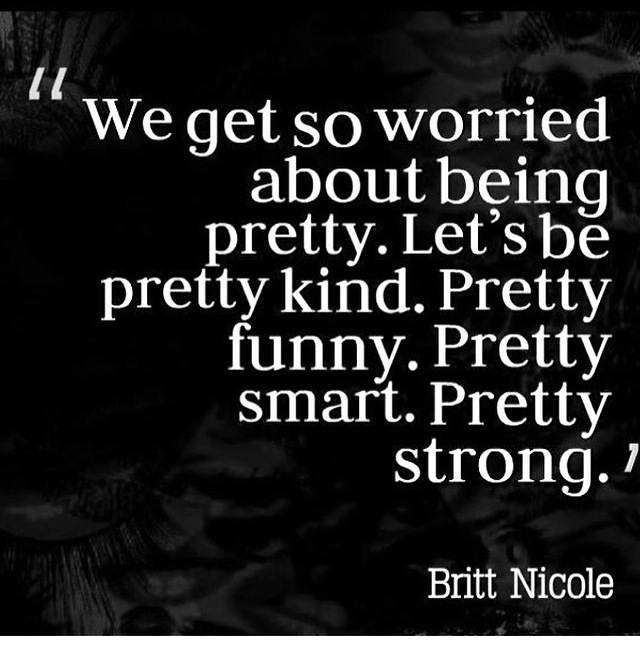 It is just Satan getting into our heads tying to make us insecure on who we are as WOMEN, as Mother’s, as Wifes, as Friends, and especially Daughters of Christ! Insecure so that we do stupid things, like try to become someone we are not to feel accepted. The good news is WE ARE ALREADY ACCEPTED! Even in our Sin we have a God who loves us and is waiting for us to acknowledge him and to believe in him. He loved us before we loved him. He created us unique for His Glory and His own Purpose. Ephesian’s 2:10 says that we are His workmanship, created in Christ Jesus for good works, which God prepared beforehand, that we should walk in them. GOOD WORKS, ETERNAL Works, that we should walk in them. I am not reading the part where we should compare and then become someone we are not, or that we should walk in someone else’s footsteps that He created for them. Oh, because it is not there!! These silly standards that we measure ourselves up to turn into nothing eternal but only temporary. Your child is going to grow up into an adult, God willing! When he is an adult, no one will care what kind of diaper you put on his bum. Your body, your face, your hair, it will all age. We are all left with the same destiny and that is getting old and passing on. I don’t want to waste one more second trying to become someone I am not created to be. What a waste that would be for my life God created just for me to live out! Look at your finger prints. If God, the creator, went out of his way to give each one of us our very own set of finger prints, doesn’t this mean some thing to you about your value, your worth, your acceptance, your importance to HIM? We are all special and unique, but as Sisters in Christ we are all connected. Notice how there is no pressure to be the same on the outside, or the way we prepare lunches/dinners for our children, or to become a stereo type soccer mom, or an organics only mom, or the 6 pack abs mom, or the Trophy Wife, and become everybody’s BEST friend! I posted this photo on my Facebook page. (Check out my Facebook page HERE!) It convicted me as to where my perspective has been lately. Let us live to be women who leave eternal gifts to our children, our husbands, our friends, and everyone else we meet along the way. Love last forever! Acts of kindness remain within the recipient’s heart! If you are currently chasing after something that you know in your heart just isn’t you, but because of fear of rejection you are allowing yourself to be involved or apart of it, I urge you to stop it today! Be brave enough to just be you. Be brave enough to love and accept yourself just the way you are. Also be brave enough to change the parts of you that you know you need to change for the better. You are worth becoming the best that God created you for! Where is your heart today? Are you guilty of trying to be someone you are not? Do you know who you are? Struggling with Identity? 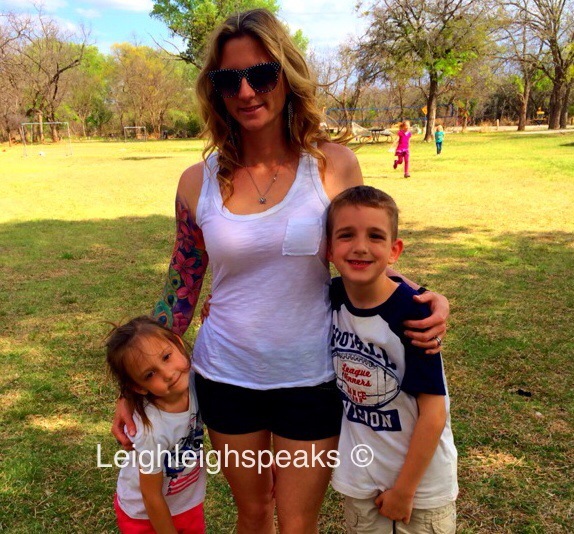 Check out my Confessions of a Tattoo Sleeved Mom HERE! Please follow my blog! I am on Twitter and Facebook as well!